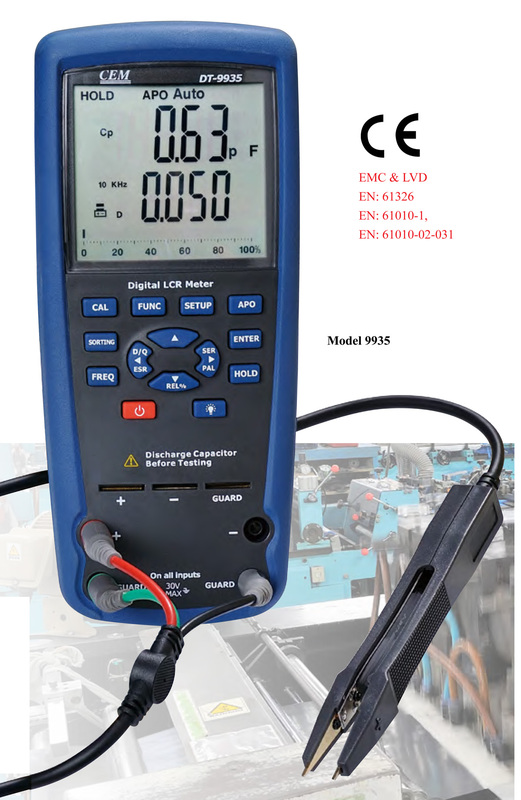 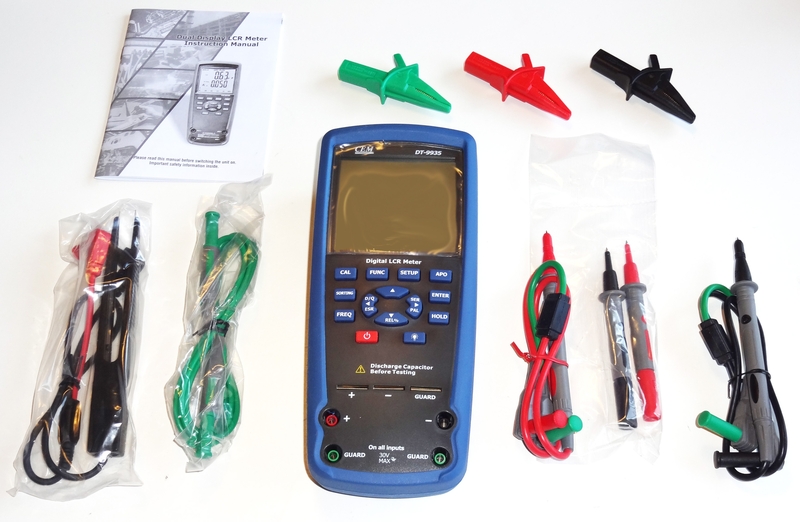 This is a brand new DT-9935 professional LCR tester from Ruby Electronics. 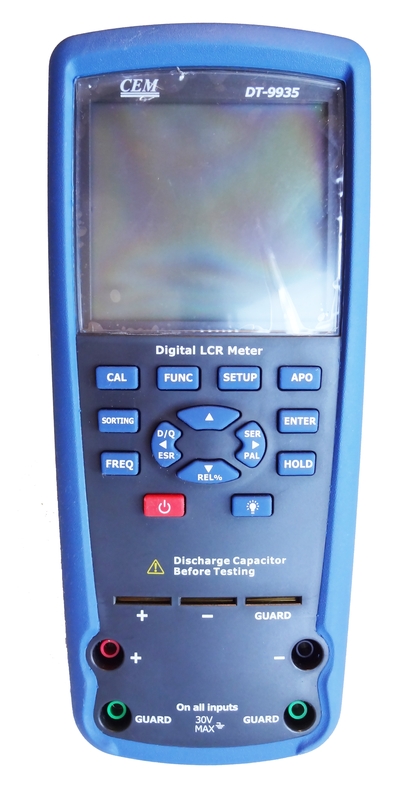 This top-of-the-line LCR tester is designed to test inductance, capacitance and resistance with great accuracy. 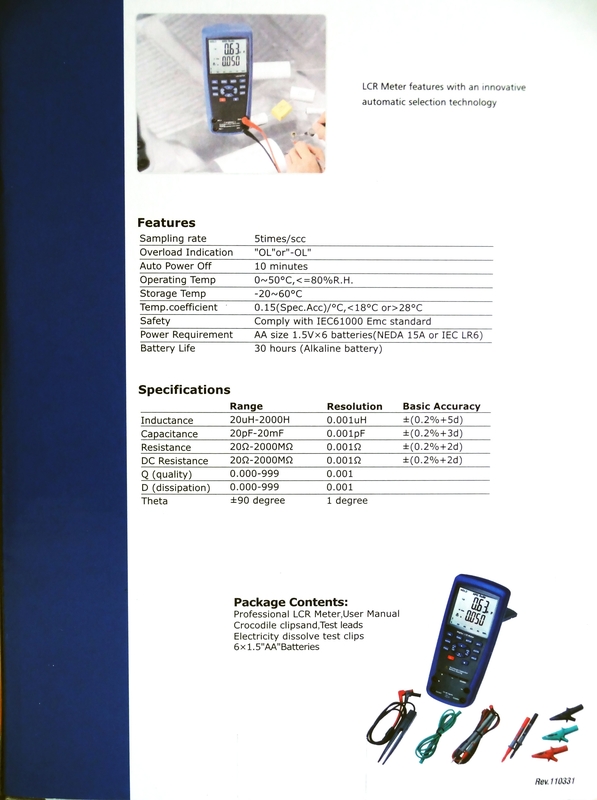 DT-9935 LCR Meter features an innovative automatic selection technology. 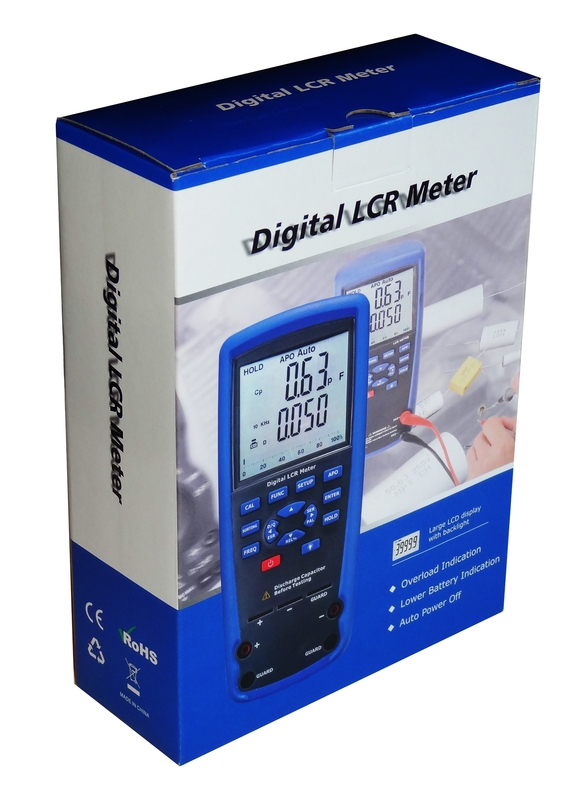 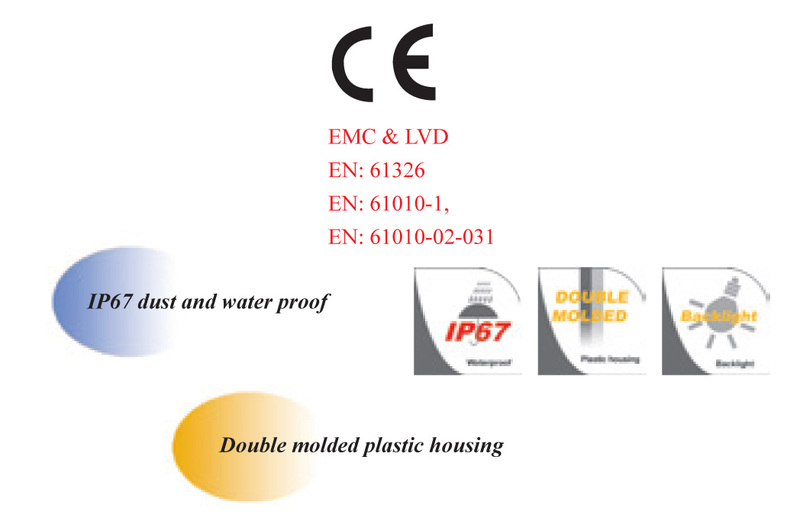 It automatically measures L, C and R with Q, D and q by just turning on the meter. The test frequency is selectable up to 100KHz. 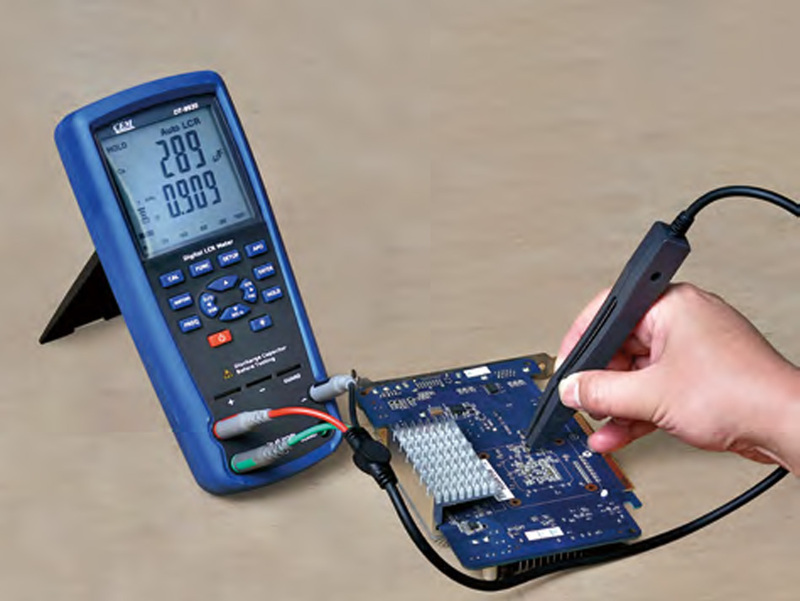 DT-9935 also provides high accuracy read out with four or five terminal Kelvin measurements. 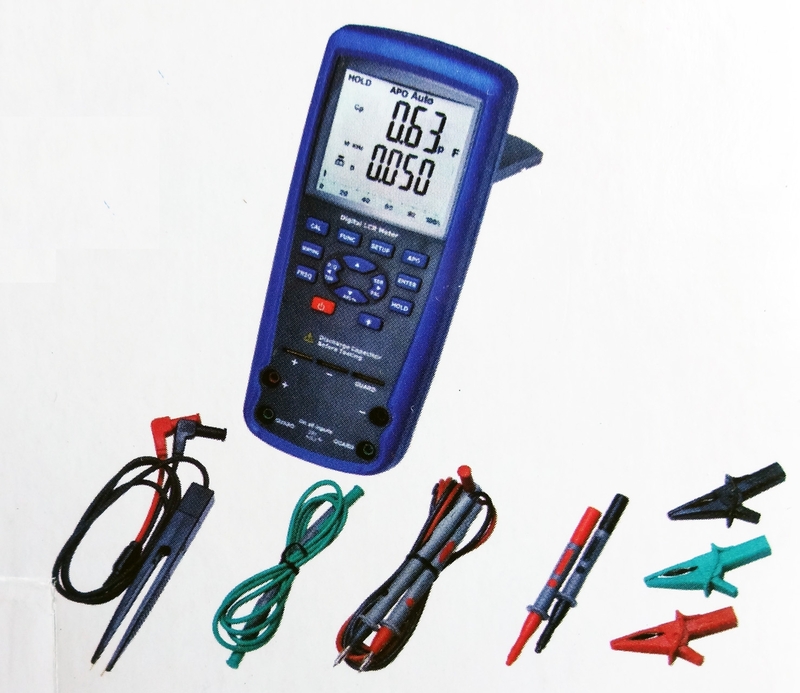 Accessories: Test leads and 6 x 1.5V “AA” batteries, gift box with carrying case.